I am tired of having to explain to myself why I get paid to do what I love. I kind of scratch the word artist because I feel a bit undeserving of the word, but deep down I know I am artist - crafter, designer, photographer. Not all artists are great masters, but the vision in our work shouldn't go unpaid just because we dont fit in the old definitions of artists. Unfortunately I dont know who said it, but I love this quote. I just took it and made this printable. As a creative professional, I always find defining my fees and quoting commissions the hardest thing. Yes, even after ten years. The thing is that craft industry in the UK is pretty much set up in a way where there are standard rates, some of them fair, some of them not so much. Challenging those that are not is the hardest part. 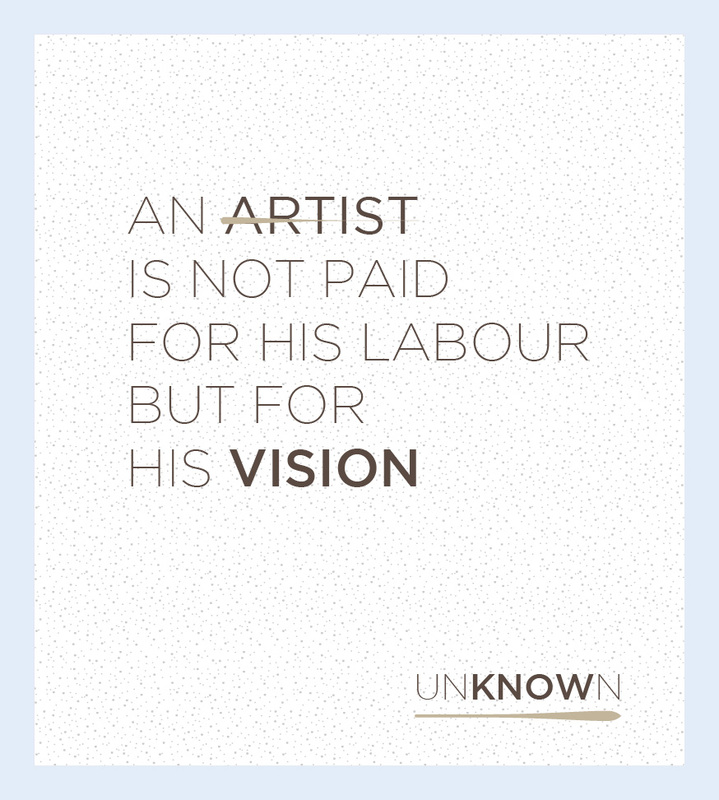 Also, Artist know your vision. I agree Paula, I work in a studio complex surrounded by other Artists and I am often dismissed as not being a "proper artist" despite the fact I pick up a pen a draw the images the stamps myself, so what am I? 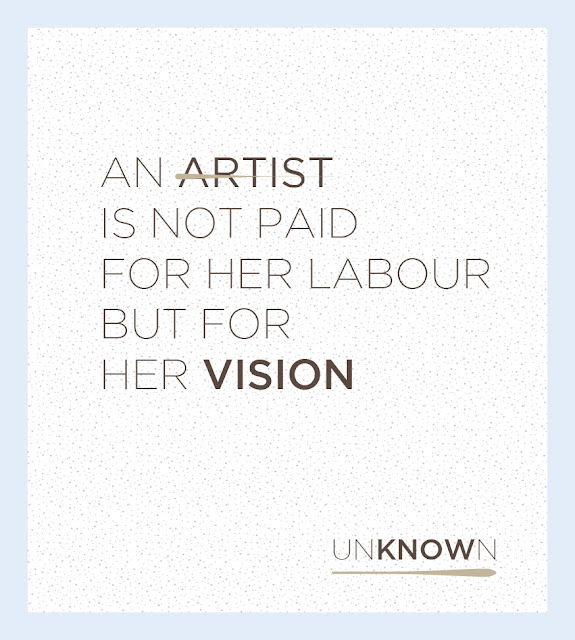 And charging for my time is the hardest part of what I do. As you'll know I find this so hard too! I never know what to charge and don't know what I'm charging is fair to me or to the person paying, although I think if they don't question and come back for more they must be happy! Hope you're well and enjoying life!